Many sports are hard on the feet because of quick repetitive movements, constricting footwear, and/or increased exposure to injury or trauma. At Step Ahead Foot & Ankle Clinic, Dr. Barnes enjoys using her training in Biomechanics & Gait Evaluation to help patients get back on their feet, oftentimes without surgery. Emphasis is placed on preventative medicine and appropriate biomechanical alignment. With the assistance of an on-site pedorthist and a research-quality In-Shoe Pressure Measurement / Gait Analysis System (F-scan), Dr. Barnes routinely favor a non-surgical approach to treating many athletic or overuse foot ailments, including heel pain, neuromas, bunions, big toe joint pain, and Achilles tendon pain. Many times this involves the fitting of either pre-fabricated or custom foot orthoses, or adjustments to existing orthotics, completed right on-site. Custom foot orthoses (“orthotics”) are prescription medical devices that are designed to control alignment and function of the foot in order to prevent or treat injury-causing motions such as pronation (rolling-in) and supination (rolling-out). 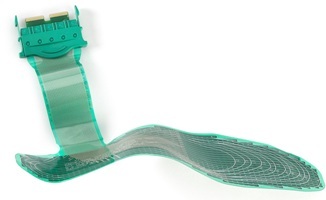 They also act to make activities such as running, walking – even standing – more efficient. Finally, they can act to redistribute pressure on the bottom of the foot to relieve pain from excessive pressure or calluses. Most foot pain is the result of a faulty relationship between the bones and muscles of the foot. Even the slightest misalignment can result in significant discomfort. This abnormal function can result in problems such as bunions, hammer toes, arch and heel pain, corns, knee pain ... even back pain. As your foot rests on the orthotic it is gently and consistently directed into the correct position for walking, running, and standing. Because your foot is now functioning properly, the pain of muscle strain and pressure points is relieved, and the progression of deformities is stopped or slowed. To learn more about the different types of ortotics offered at Step Ahead Foot & Ankle Clinic, click here. 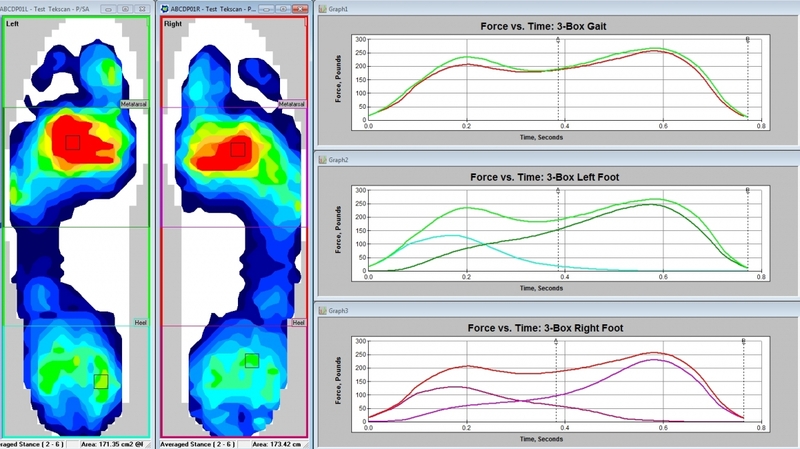 Step Ahead Foot & Ankle Clinic offers computerized gait analysis using the F-Scan® in-shoe pressure measurement system. This state-of-the-art system allows us to “see inside the shoe," giving us a better understanding of how a person’s foot interacts with their footwear as well as the earth, and helping us provide the best, most advanced care in the area. The average person takes thousands of steps every day, generating a force equal to several hundred tons on the bottoms of their feet. Everyone walks a little bit differently, distributing this force in their own unique way. For some people, the distribution of force is very uneven. This creates areas of highly concentrated pressure that can cause pain in the foot itself, and can also cause misalignments that lead to pain throughout the lower body. The F-Scan in-shoe pressurement measurement and analysis system, with the use of flexible, thin, trimmable sensors that are placed inside the shoe to capture timing and pressure information for foot function and gait analysis during a clinical test, helps us find and address the root cause of these problems by clearly quantifying areas of high pressure in a color-coded display. It also provides us with timing and gait parameters we can use to develop optimal treatments for each individual, whether it be with shoe recommendations or the formulation of recommendations related to prescription orthotics or simple adjustments to current orthotics. We can easily share a patient’s test results with them, making it easier to explain diagnoses and treatments. To learn more about the F-Scan In-Shoe Pressure Measurement analysis offered at Step Ahead Foot & Ankle Clinic, click here.